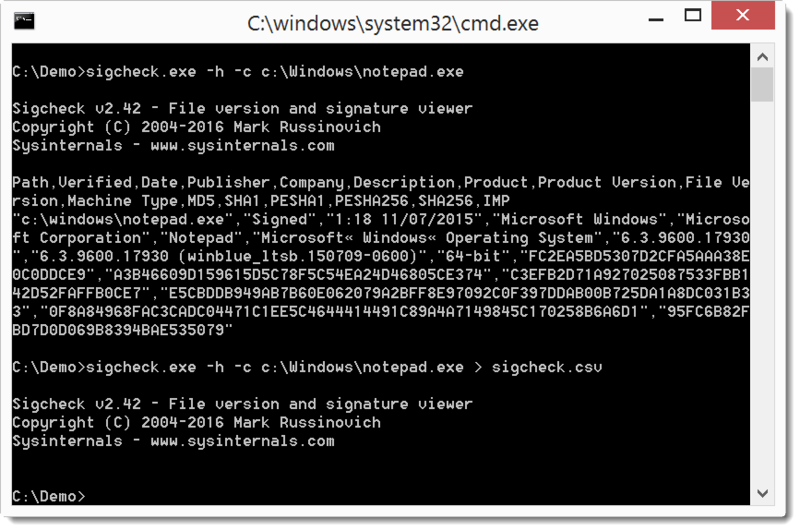 In a diary entry I showed a great new feature of Sysinternals' sigcheck: integration with VirusTotal. This required the scanned machine to have Internet access. But in a follow-up diary entry I explained a work-around for machines without Internet access. Mark brings us good news: the latest version of sigcheck (v2.42) can scan a machine without Internet access in 2 steps. First you scan the machine and save the results in a CSV file, and then you use sigcheck to query VirusTotal from another machine with Internet access. Let me illustrate with a couple of screenshots. This example is for one file. 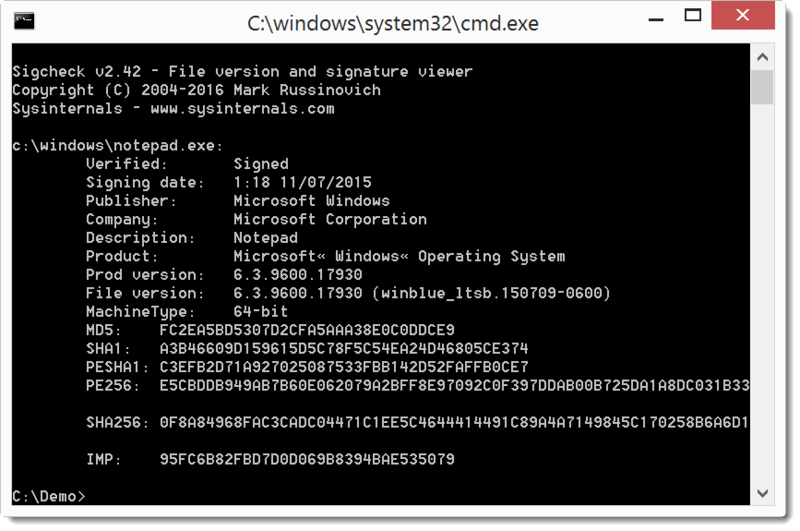 But of course, sigcheck can check many files if you point it to a folder and use option -s to recurse.